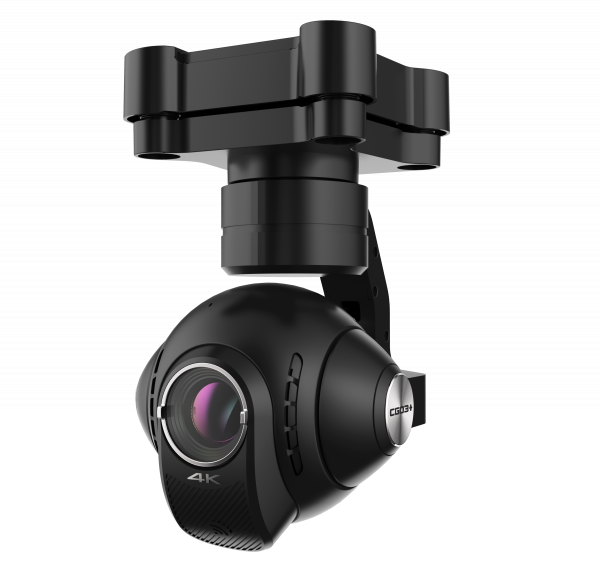 The CGO3+ is an innovative combination of vibration-reducing 3-axis gimbal, camera and digital video downlink, which you can use to make stable UHD video recordings in 4K resolution and vivid 12-megapixel photos. Impressive thanks to unique panoramic images: unlike its predecessor, the CGO3+ gimbal camera rotates around 360°. It features a high-quality glass wide-angle lens with a 94° field of view, and can be manually configured during flight.